WARNER! NH: Spring Into Warner is this Saturday! 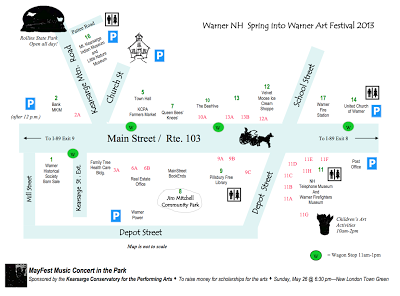 Spring Into Warner is this Saturday! Are you ready for Spring Into Warner? 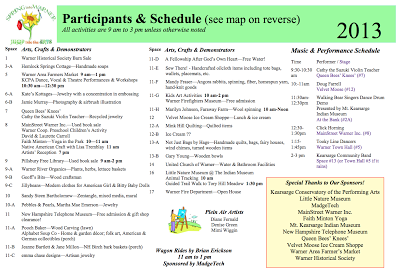 Arts, Crafts, Demonstrations, Music and Performances - it's all here on Saturday, May 18th, 2013. 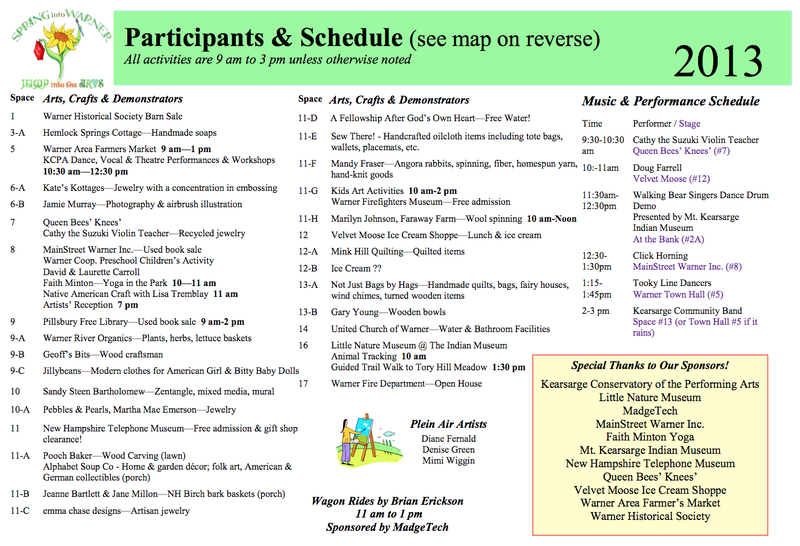 Below, you can see the Participants & Schedule list as well as a map showing all the locations of the crafters and performances. The map also shows where you can park your car and find a restroom. (www.WarnerBlog.com) Just click on the image to see the list or map at full-size.